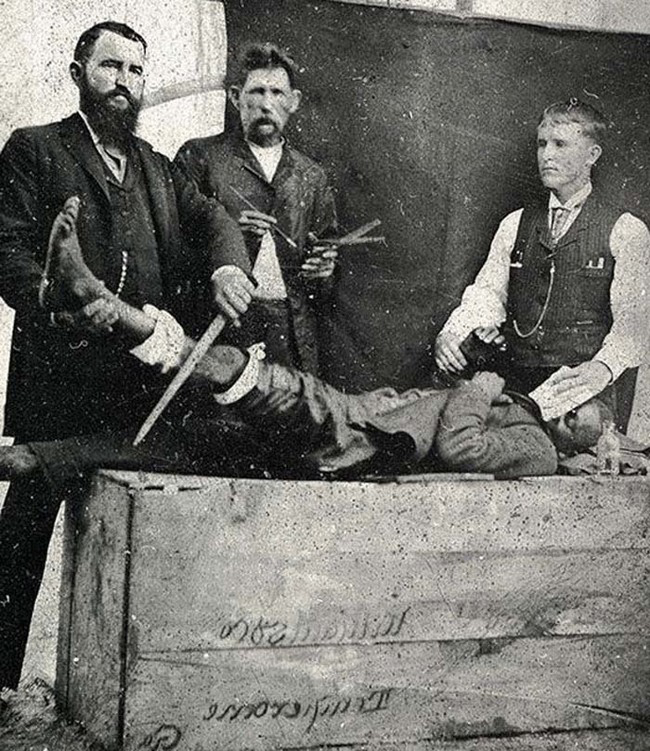 Yes, these fine gentlemen are about to attempt to saw this poor man’s leg off to try and save his life. Unfortunately for him, back in those days, they had no access to anaesthetic drugs. The gentleman on the right is holding a cloth dampened with ether to try and keep the patient insensible during the process. Ouch. 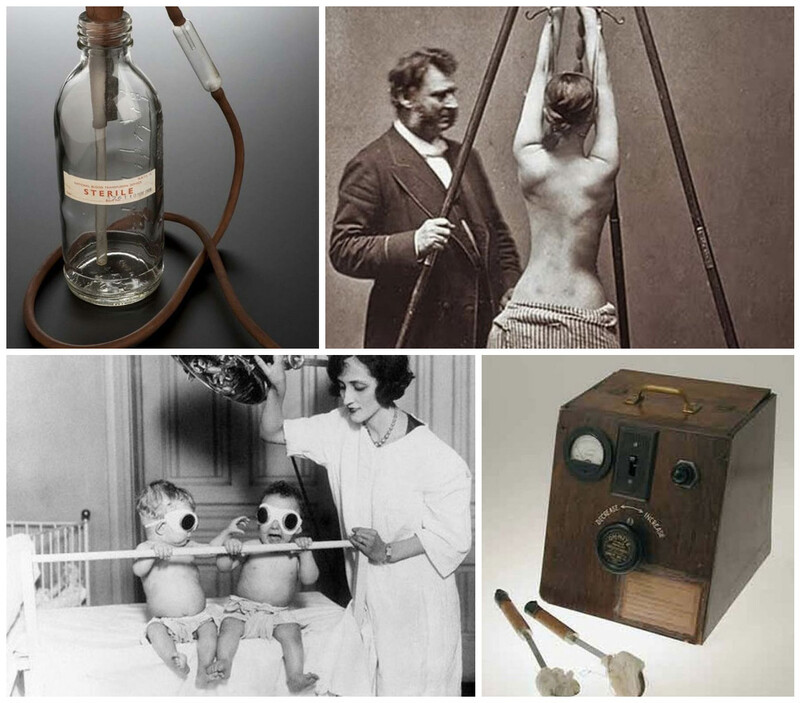 Medicines were simply made up remedies. The 19th century was when any snake oil salesman could make a living. 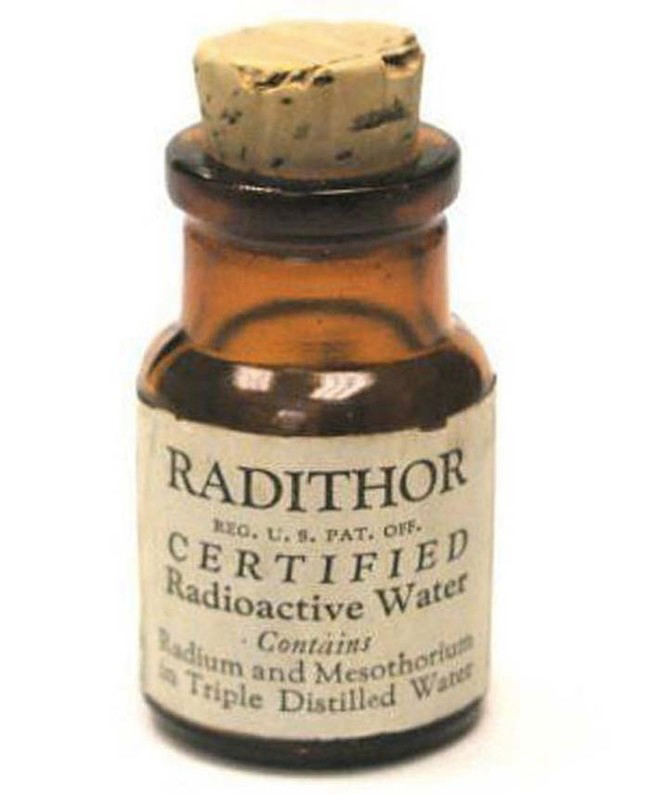 This bottle shows water containing radioactive radium; it was supposed to cure colds and flu. We think we’ll pass all the same. There are worse things than the sniffles – like cancer. Amputation was a common practice to save lives and while it continues today in special circumstances, antibiotics can often prevent it from being necessary. 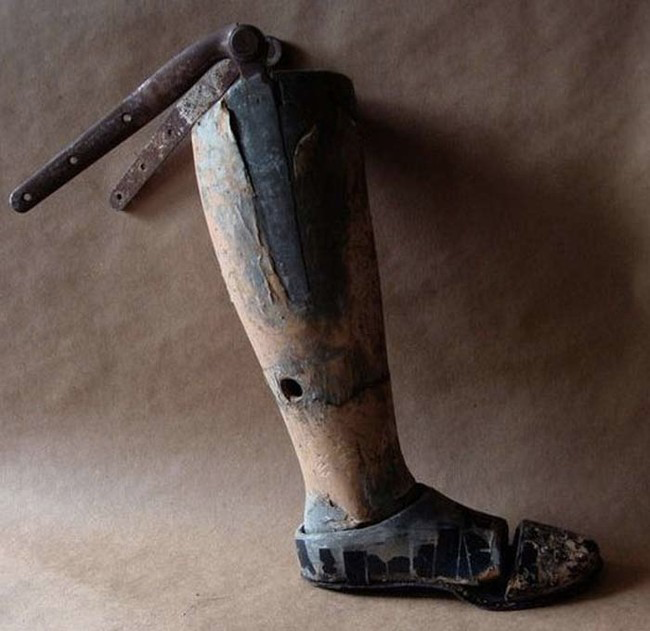 After amputation, a wealthy amputee might be fitted with a crudely made prosthetic limb like this one. It would have been very uncomfortable and awkward to use. 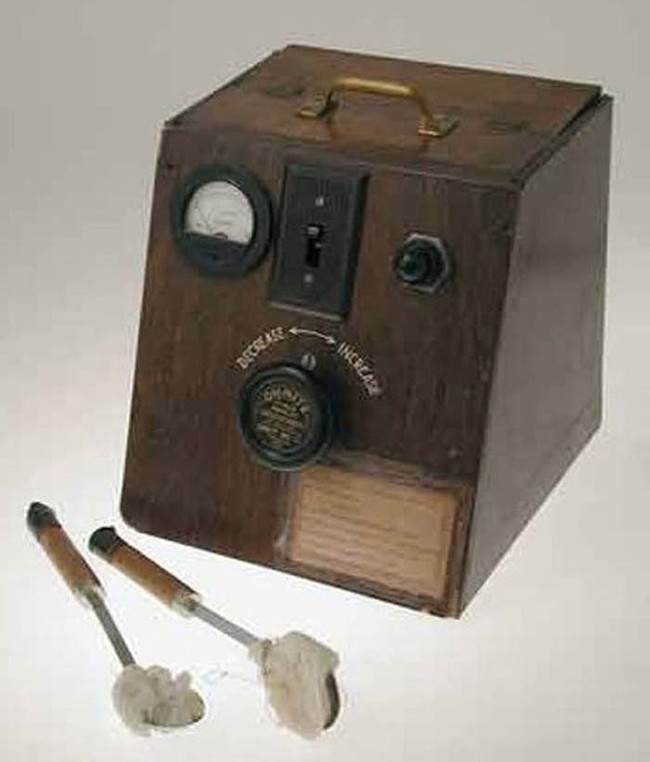 This machine is exactly what it appears to be; a precursor of the modern defibrillator. The idea is simple, the two paddles are placed on either side of the patient’s heart and then electricity is passed through them to restart the heart. It might look strange but this was probably very effective. 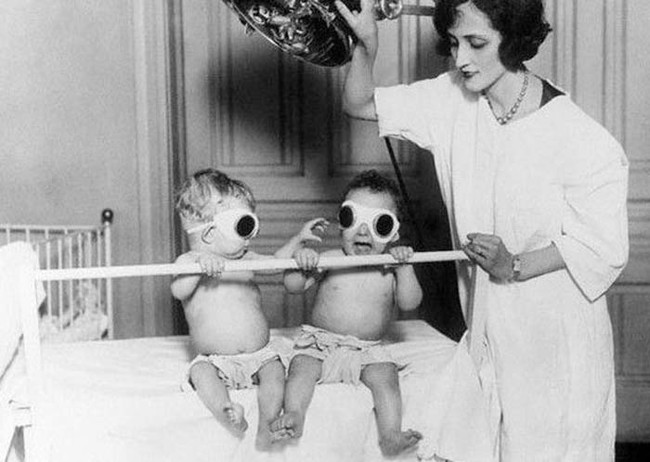 If you thought adult care in the 1800s was ridiculous; then here’s an example of bizarre childcare to even the score. These babies are being treated for rickets which is actually caused by a lack of Vitamin D, phosphorous or calcium. It’s still a very common childhood disease today in developing nations.